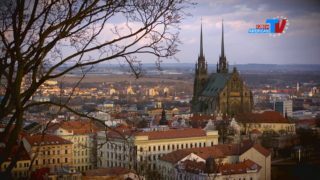 Discover Czech Regions: South Moravian Region – City of Brno. The city of Brno is the second biggest Czech city, only after Prague. It used to be the capital of the former region of Moravia. Brno is the seat of judicial authority as the Constitutional court is located here. The most visited sights of the city include the Špilberk castle and fortress and the Cathedral of Saints Peter and Paul on Petrov hill, two medieval buildings that dominate the cityscape and are often depicted as its traditional symbols. 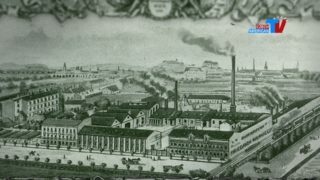 The Brno basin has been inhabited since prehistoric times. In the early 11th century Brno was established as a castle of a non-ruling prince from the House of Přemyslids, and Brno became one of the centres of Moravia along with Olomouc and Znojmo. Brno was first mentioned in Cosma´s Chronica Boëmorum dated to year 1091, when Bohemian king Vratislav II besieged his brother Conrad at Brno castle. 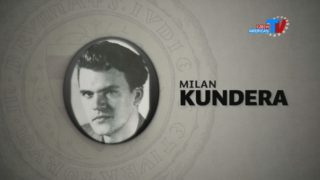 Milan Kundera is a Czech writer, who was born in Brno in 1929. In 1975 he was forced to move to France and live there in exile due to the Communistic regime. He writes poems, dramas, proses and essays. He is a translator as well. His most notable novels are The Unbearable Lightness of Being, The Bok of Laughter nd Forgetting and the collection of short stories Laughable Loves. Villa Tugendhat is an exeptional funcionalistic architectonic masterpiece by German archiect Ludwig Miese van der Rohe from 1928. 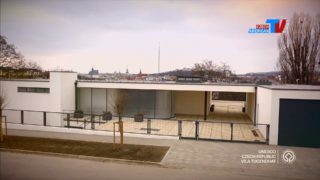 The villa for constucted for the married couple of Gretta and Fritz Tugendhat and it is one of the pioneering prototypes of modern architercture. In 2001 it became part of UNESCO World Heritage. It can be experienced best on board of boats on regular cruises. The boats can be boarded from any of eleven shops, located alternatively on both shores of the lake. Veveri castle belongs to the oldest, largest and most interesting Moravian castles. Originally a hunting castle, eventually destroyed by various wars throught the years.